Alba Game Fishing craft tailor made, luxury fishing experiences in unique locations throughout Scotland. Their service includes gourmet outdoor lunches, luxury transport, photos on a DVD, provision of high quality fishing tackle, Orvis Endorsed guidance and is the perfect for corporate fishing events, vacations or just a special treat. Competition will close Monday 1st July at 1.00pm. The winner will be notified by telephone and the judges decision is final. 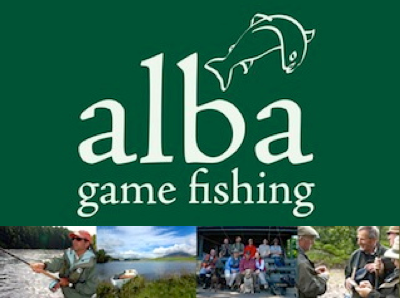 Every entry will receive a copy of the 2013 Alba Game Fishing brochure, if you do not wish to receive further correspondence please inform us when entering the competition. I will be in Europe later this year but unfortunately I won’t be stopping off in Scotland this time round. I still have to pay a visit there some day. I’ve heard it’s beautiful there.